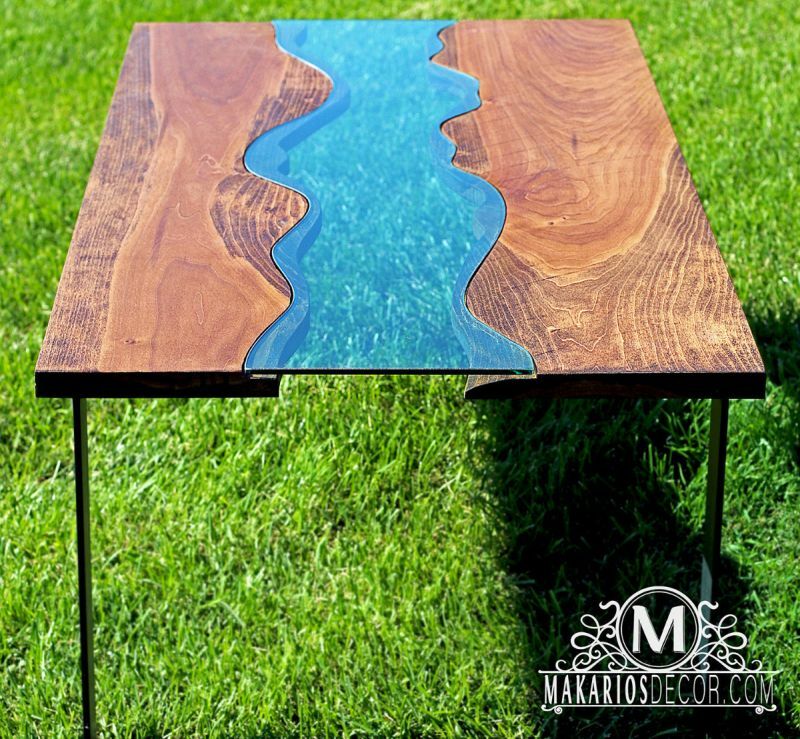 If you ever wanted to bring the elegance of water bodies into your home, these classy river tables are just perfect. 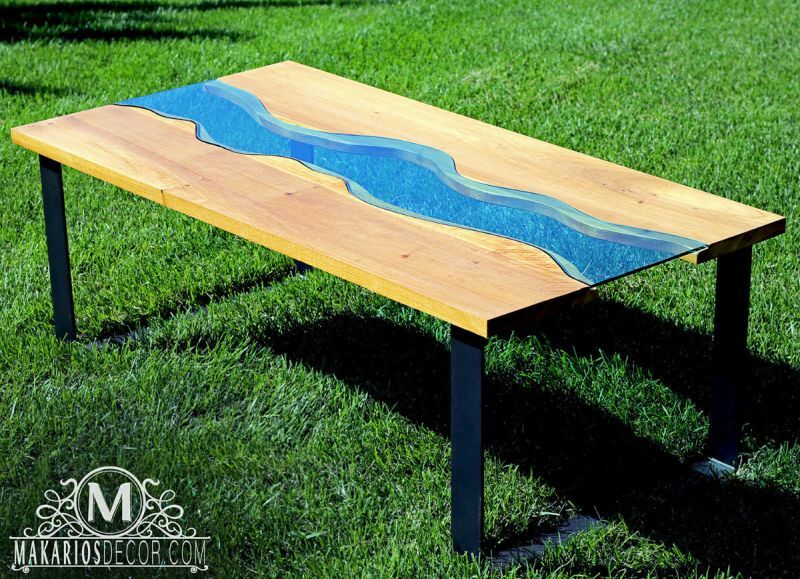 Made with glass inserts and epoxy resin, river tables with beautiful waves snaking through the center of the tabletop are an eye candy. 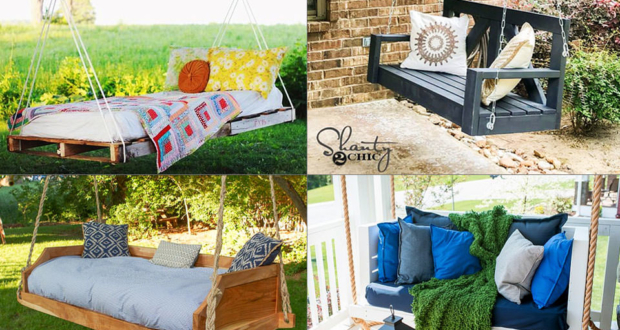 They are available in a variety of materials, designs, and finishes. 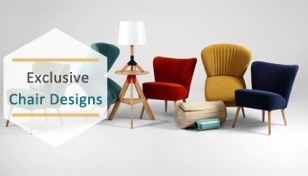 No matter how aesthetically pleasing they might look, the element of functionality cannot be overridden. 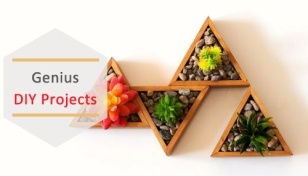 Keeping this fact in mind, designers and woodworkers build them in a way that they don’t trade off functionality for looks. 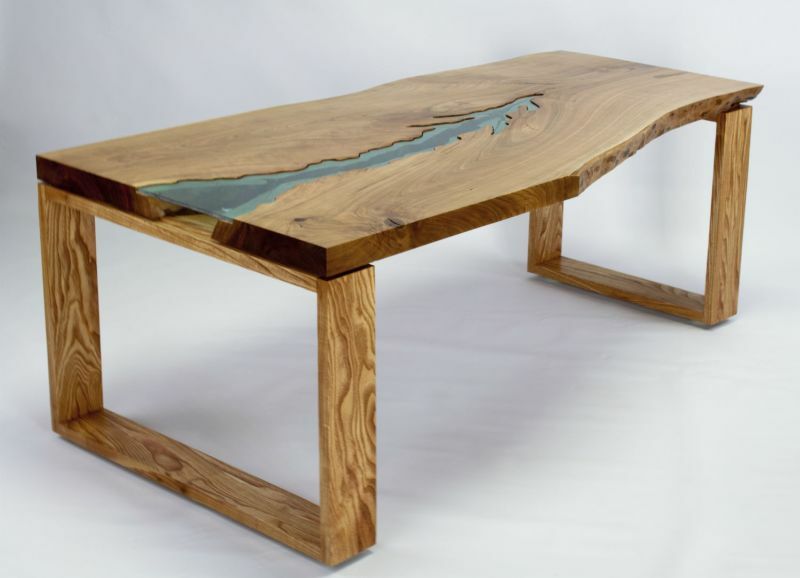 Here is a list of 20+ most unique river tables that show how aesthetics and functionality go hand in hand in order to impart an element of design and style to your living room. 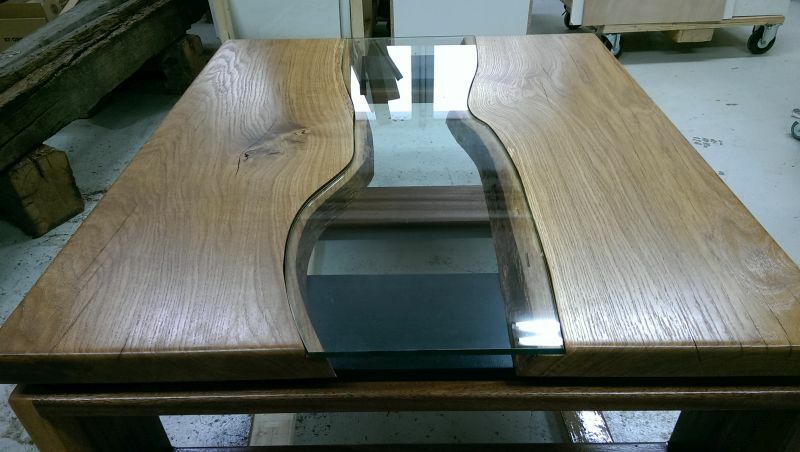 It is a large table constructed out of American walnut, with a striking glass river flowing down the middle of the top. 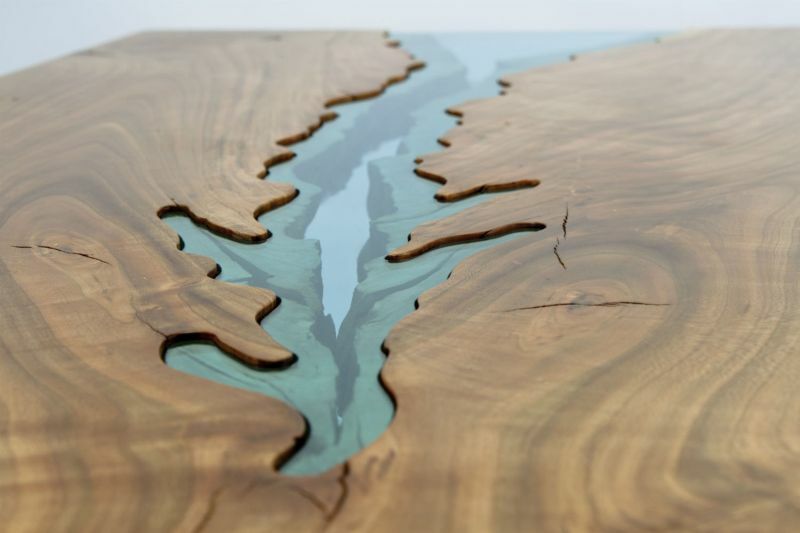 The river is shaped by creating recesses on both wood slabs that hold the glass insert to form the tabletop. 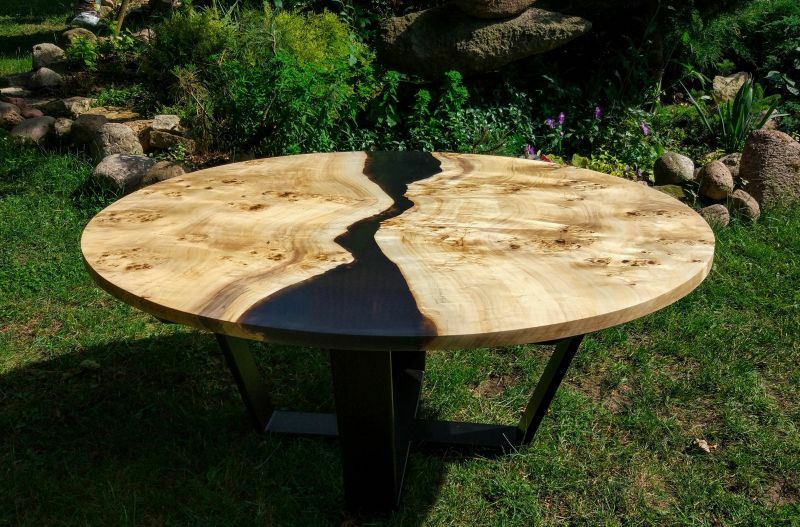 There are cracks on the top joined by butterfly joints. 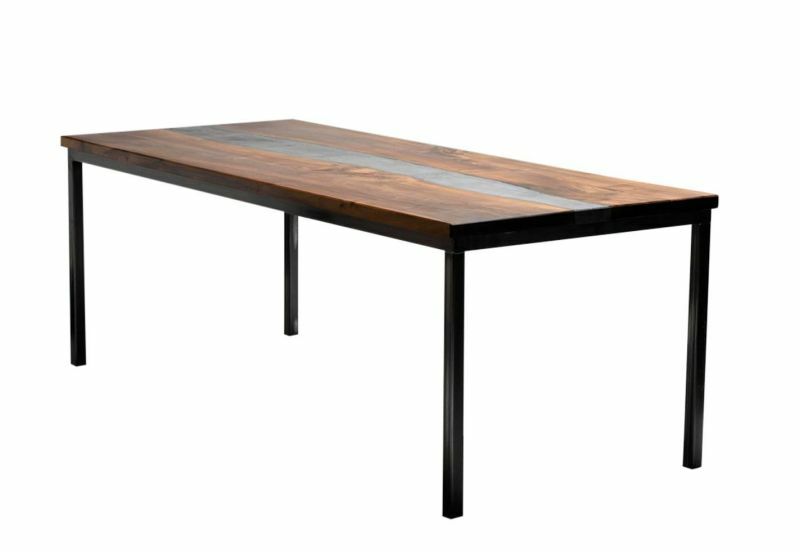 This river table comes with black trapezoid steel legs and is a perfect addition to a dining or living room. 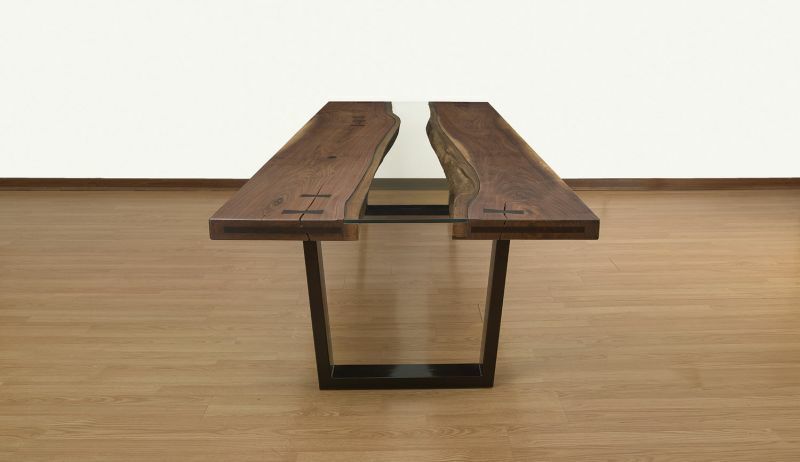 It is a sleek modern coffee table that consists of two live edge walnut wood slabs combined together to hold a wide glass insert that serves as a cantilevered place to display your items. 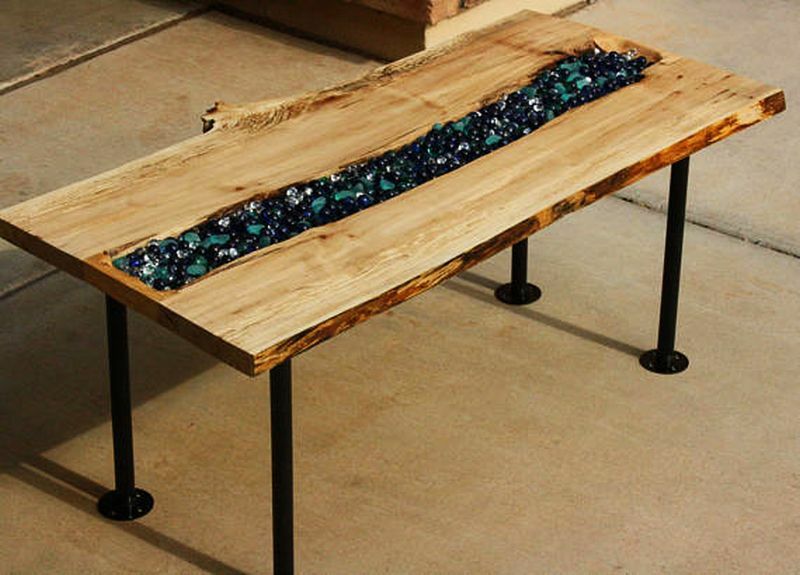 The cracks and voids on the top are filled with glow-in-the-dark turquoise resin, adding more fun to the table design. 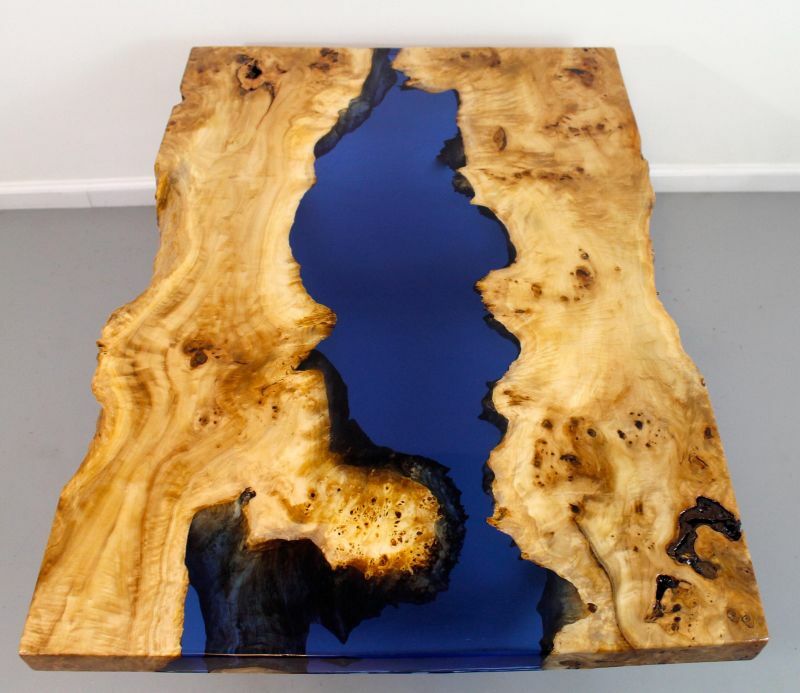 It is an absolutely beautiful river table featuring a rugged Birdseye poplar burl wood top along with a transparent blue resin river flowing in between. The intricate knots, cracks, deformities and patterns of the burled wood, combined with trapezoid steel legs give it a spectacular look. 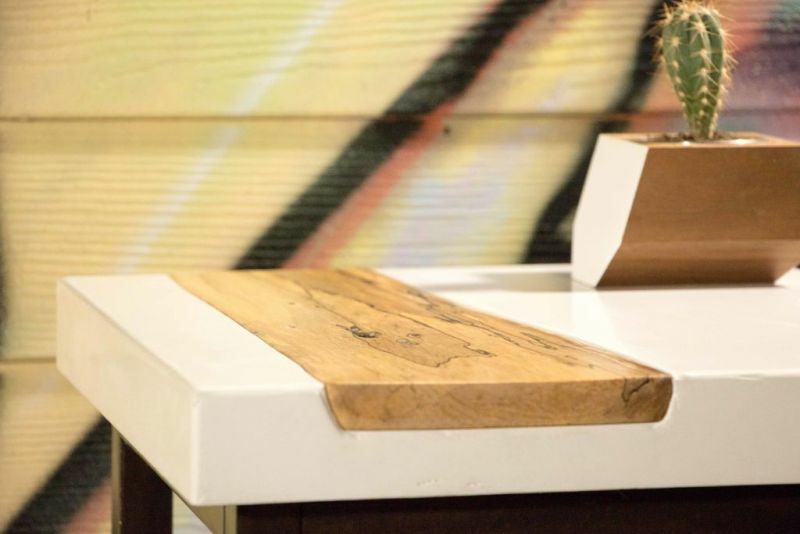 Makarios river coffee table boasts a simple and rustic look. 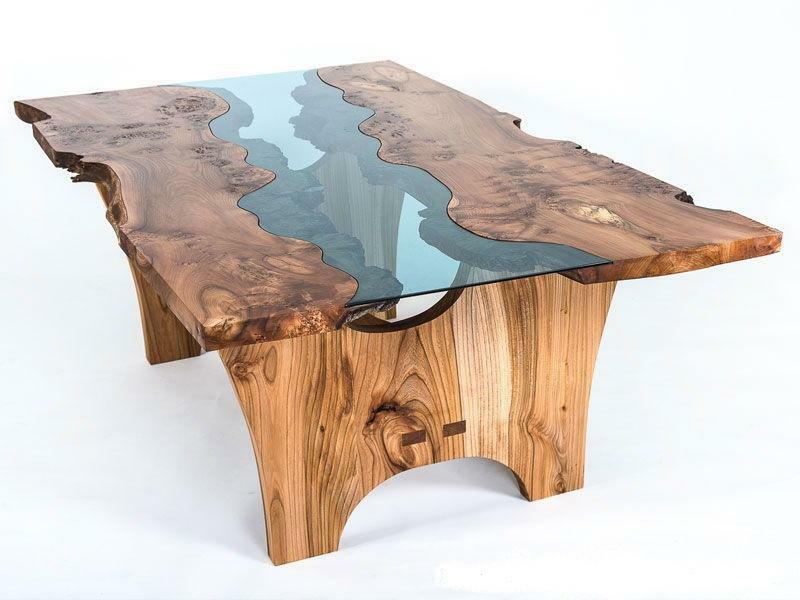 Handcrafted using poplar hardwood, it comes features a turquoise tempered glass insert resembling a flowing river. 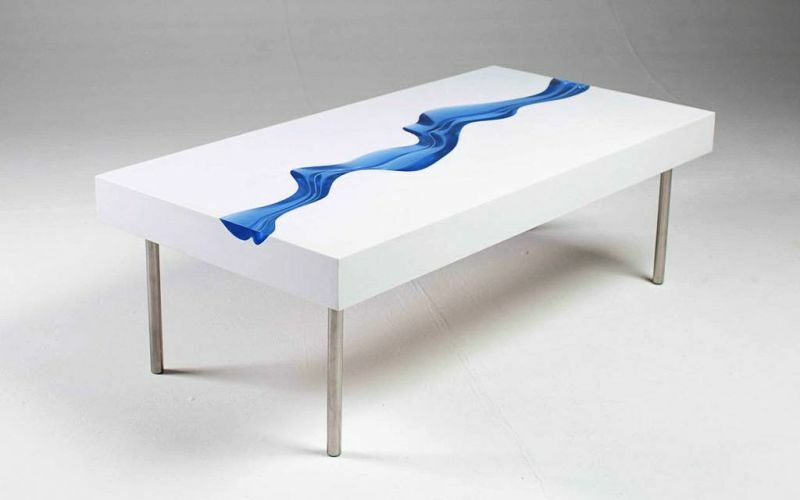 This minimalistic river table will look great in any room, displaying magazines and your personal belongings. 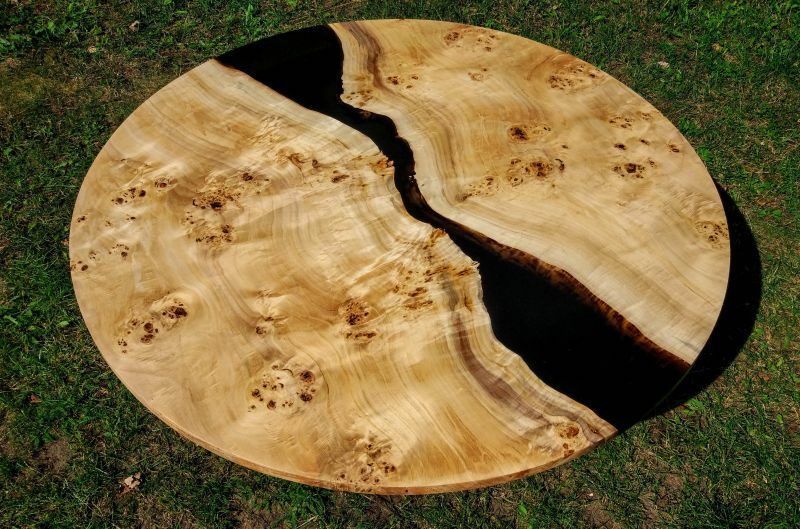 Made of solid timber, this round coffee table features a one-of-a-kind black semi-transparent black epoxy resin river in the middle of the top. 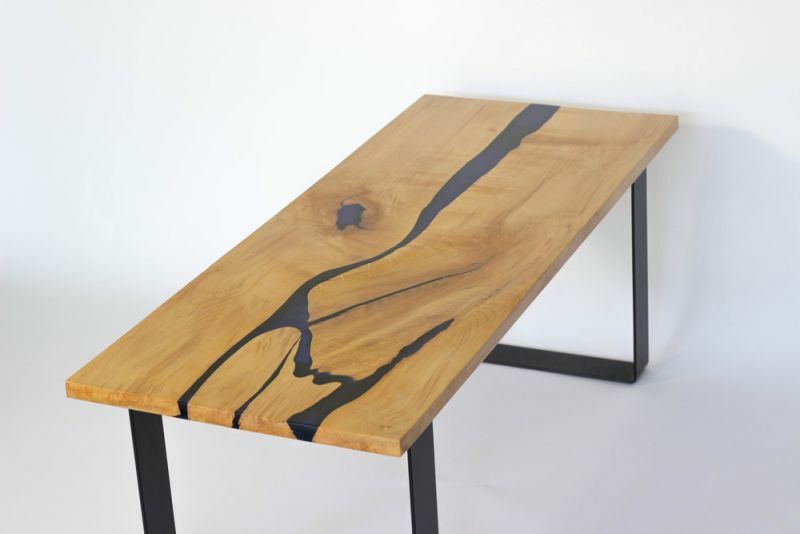 Knots and holes are also filled with the black resin to enhance its overall look. 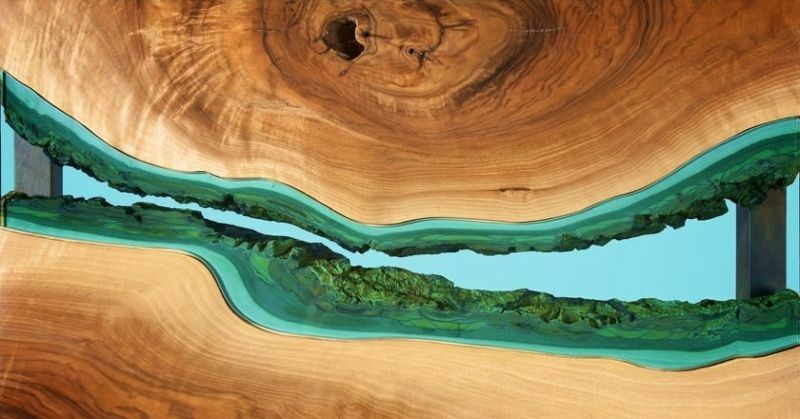 The top shows off tree rings, boasting an inviting effect of a variety of colors. 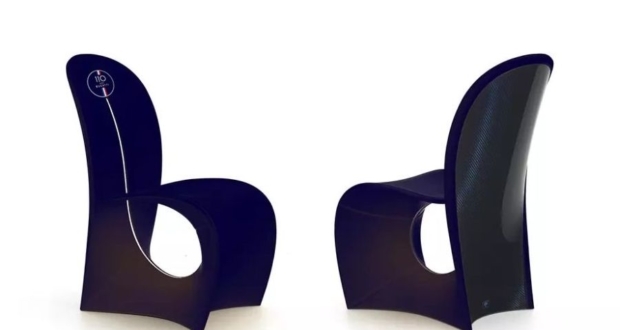 It can also be used for dining purposes thanks to its big size. 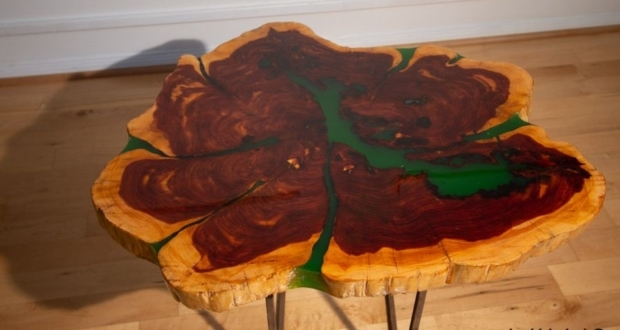 Defined by two rivers flowing through its top, this coffee table is made from live edge olive wood and resin. 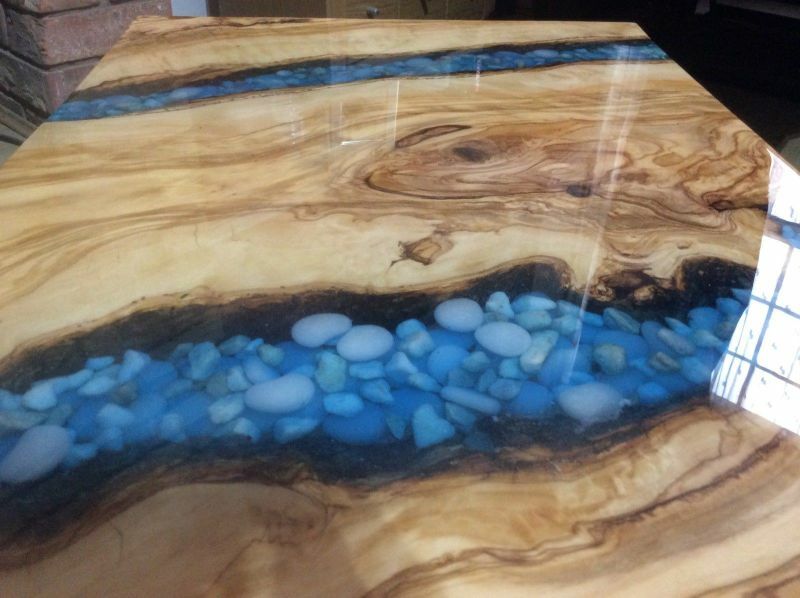 Measuring 300H x 670L x 430W mm, it is a true stunner with beautiful patterns and two blue resin rivers running through the tabletop, accompanied by white stones and glow-in-the-dark pebbles. 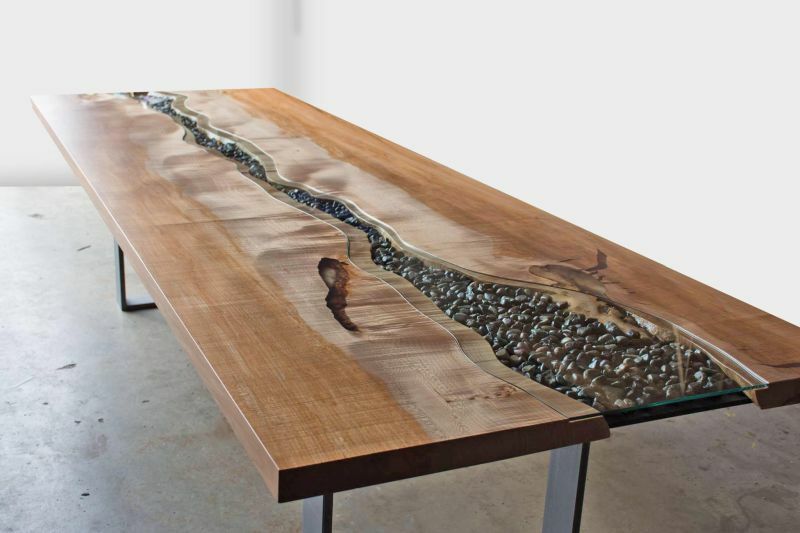 Combination of warm wood and cold concrete, it creates a perfect harmony to appear like a river that floats through the table. 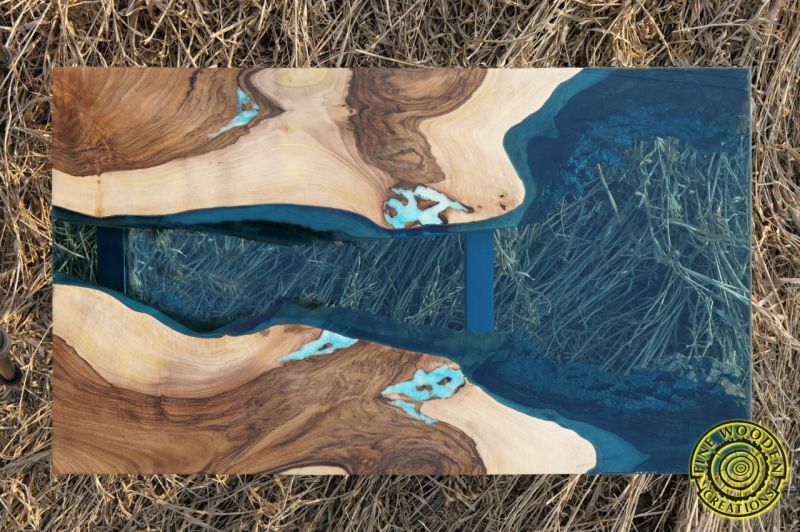 The oiled Nutwood tabletop is emphasized with concrete inlay, mimicking a flowing river. 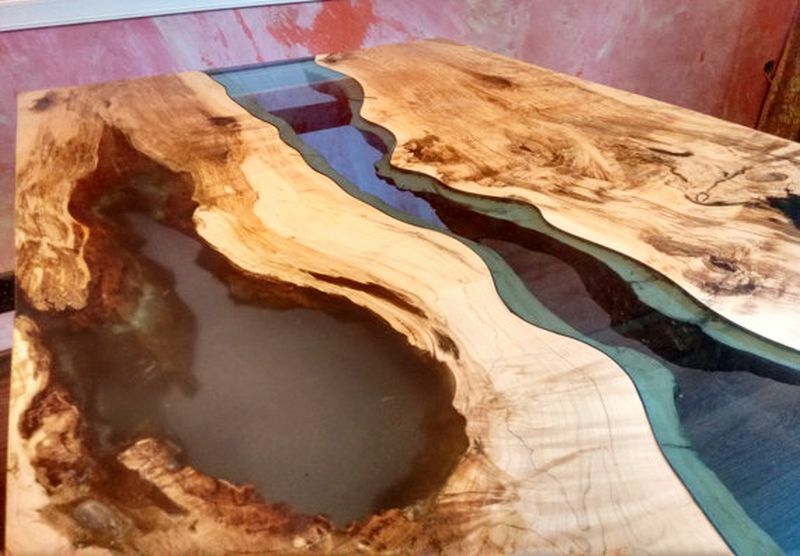 This river table is a cool mixture of live edge wood and glass. 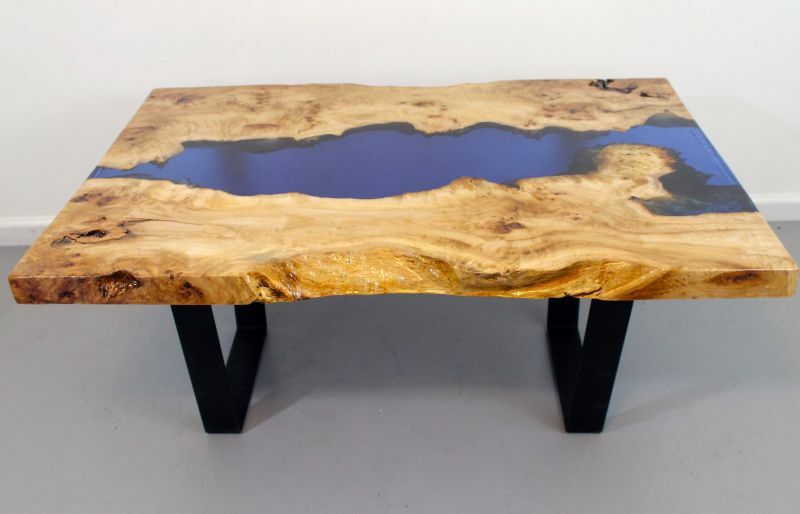 It consists of two oak wood slabs, sitting over an intricately crafted slab base. 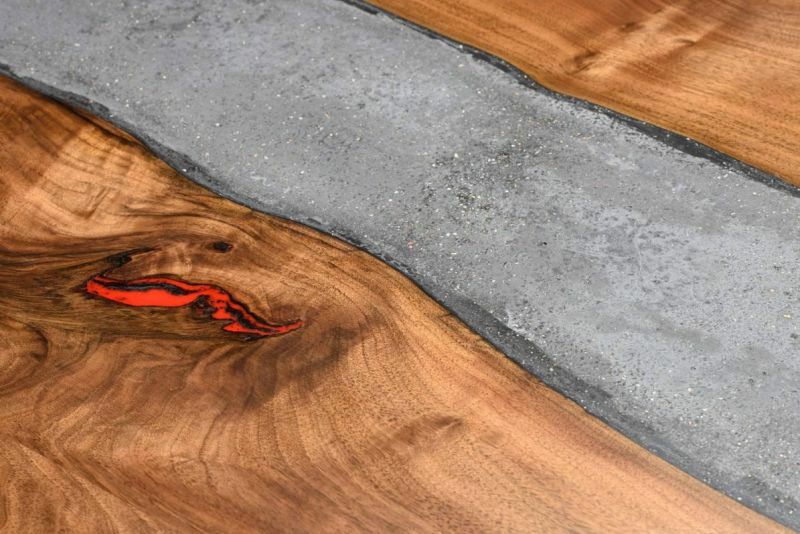 One thing to notice is the graceful natural edges on all sides of the slabs, completing the tabletop. 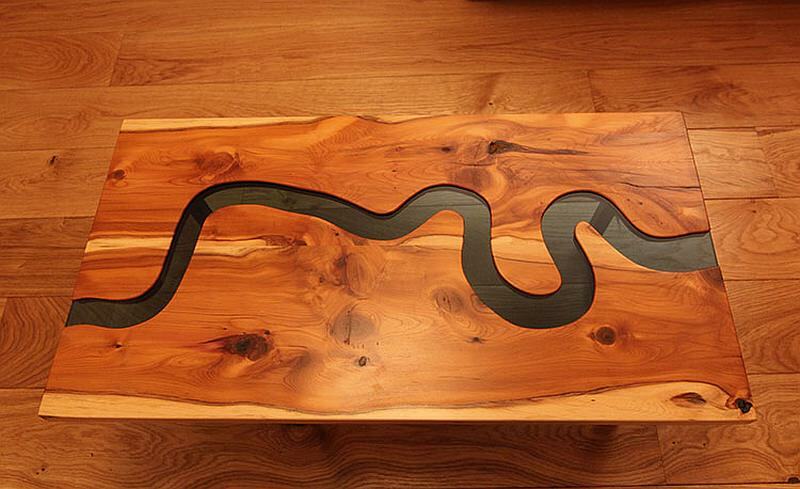 How about Thames River snaking across your coffee table? 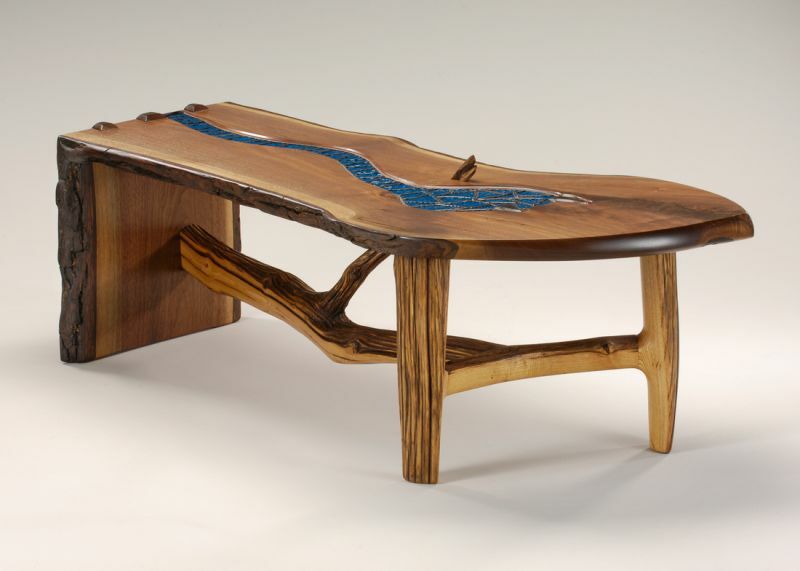 Daring you to dream big, George Johnson of Johnson Furniture allows you to incorporate the elegance of Thames River into your living room. 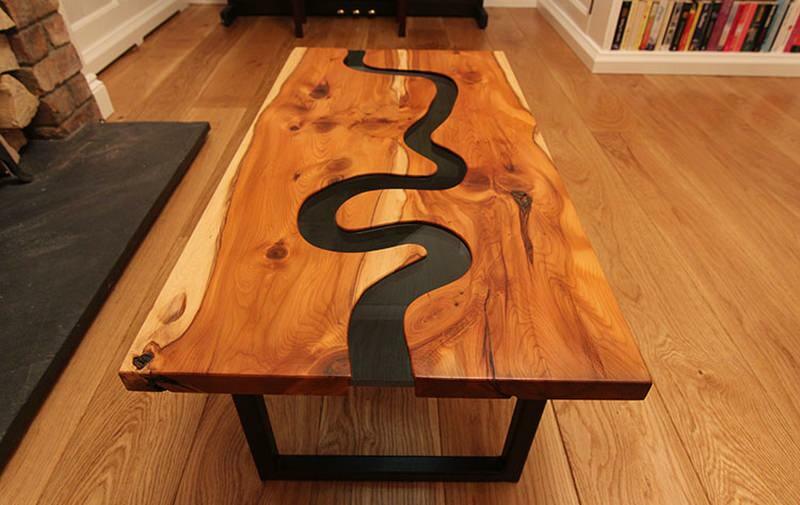 It beautifully exhibits meandering curves of the river across on the tabletop, resting on metal legs. 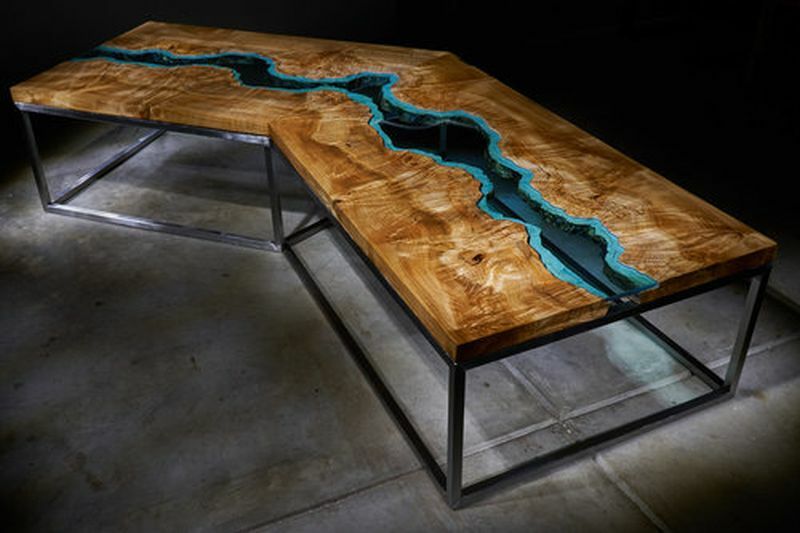 This unique river table depicts the deep blue, almost black waters of the rivers of Eastern Oregon. 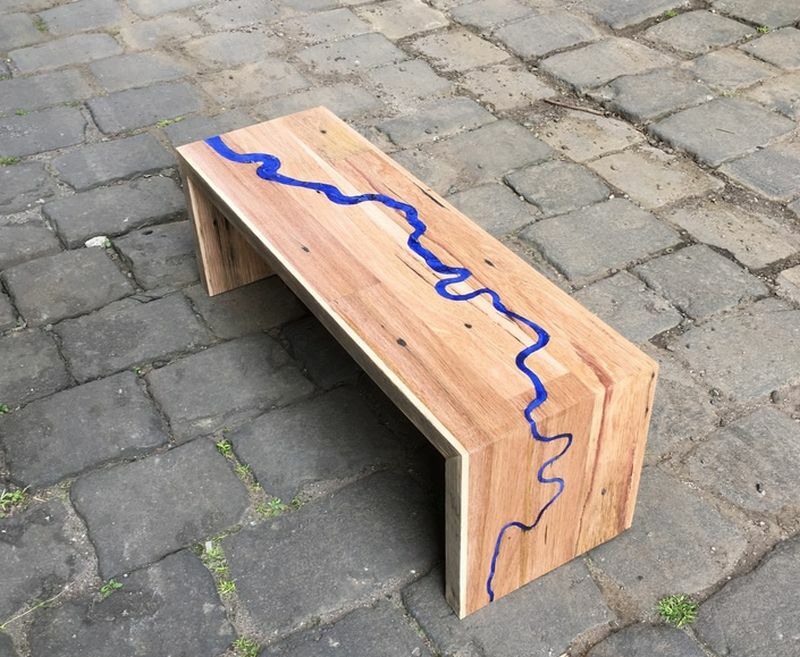 It is made with four pieces of solid alder, fitted together to draw attention to live edges and voids filled with blue tinted epoxy resin to mimic the natural flow of a river. 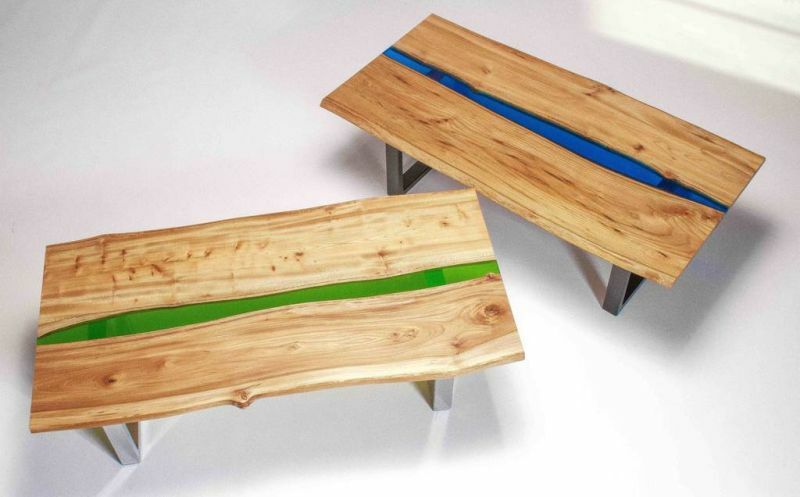 This table comes with square, steel legs, while you can also ask for hairpin legs. 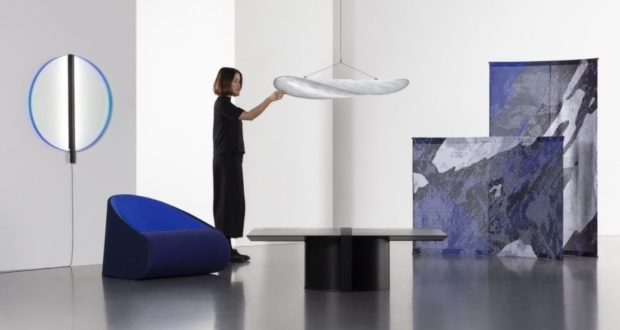 Elevate your home interiors with this one-of-a-kind river coffee table with built-in LEDs and motion sensor to automatically show cool animations of a flowing river when someone is nearby. 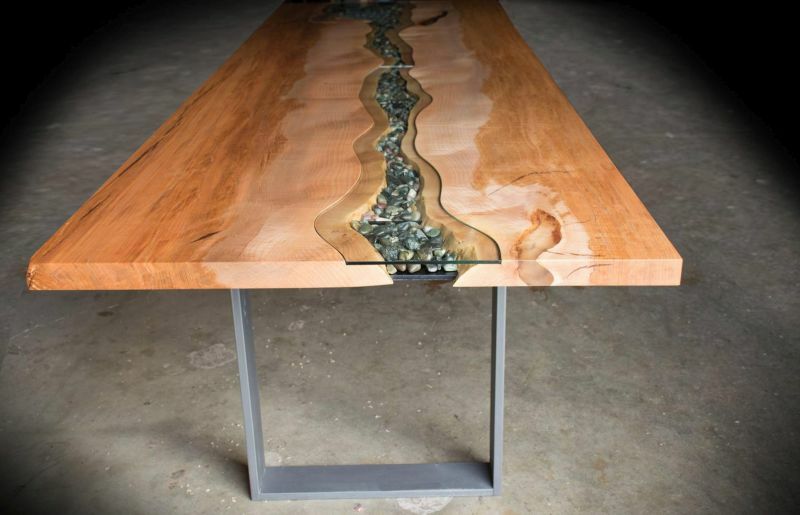 Made from wood, glass, and resin, this handcrafted river table employs technology to serve as a functional centerpiece in a dining room, living room or office. 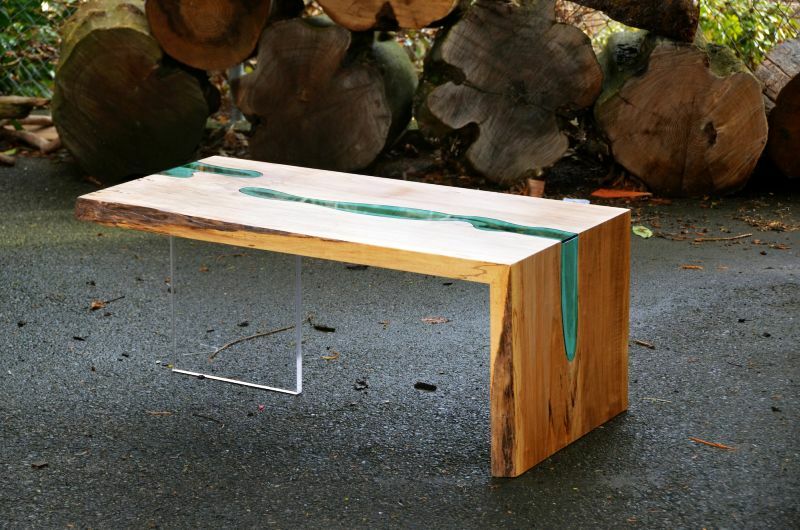 Bring in a feel of a river flowing inside your home with Frances Bradley’s epoxy resin river coffee table. 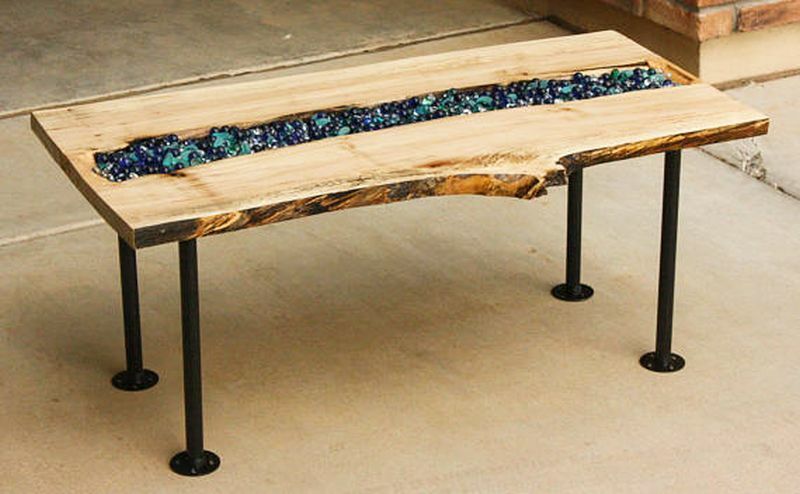 Sitting on a steel base, it has a wooden top, inlaid with resin river available in different colors, including blue, green, orange and turquoise. 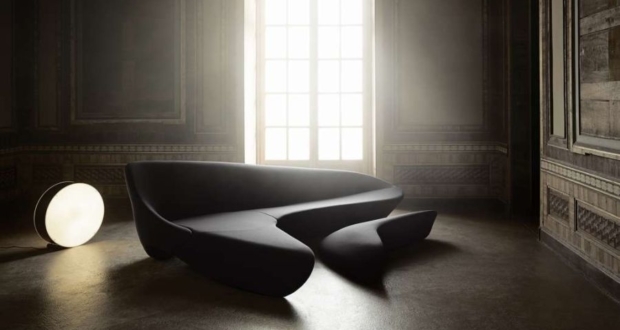 With clean lines and bright appearance, it is a sophisticated addition to modish interiors. 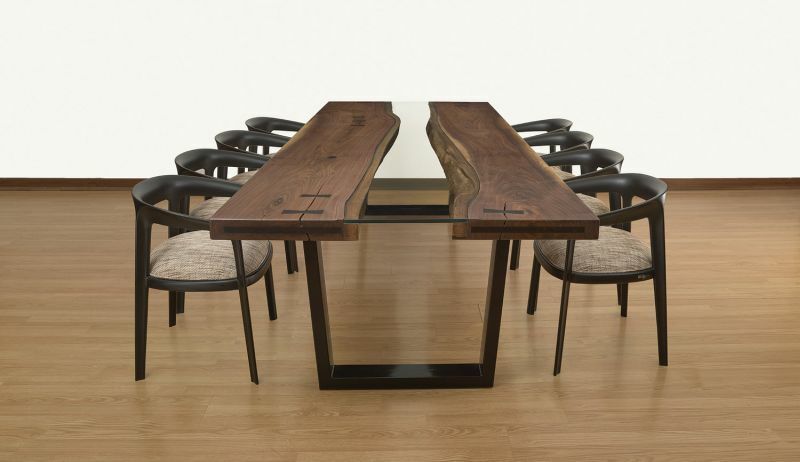 Canadian company Live Edge Design has created this outstanding river run dining table in order to match modern interior styles. 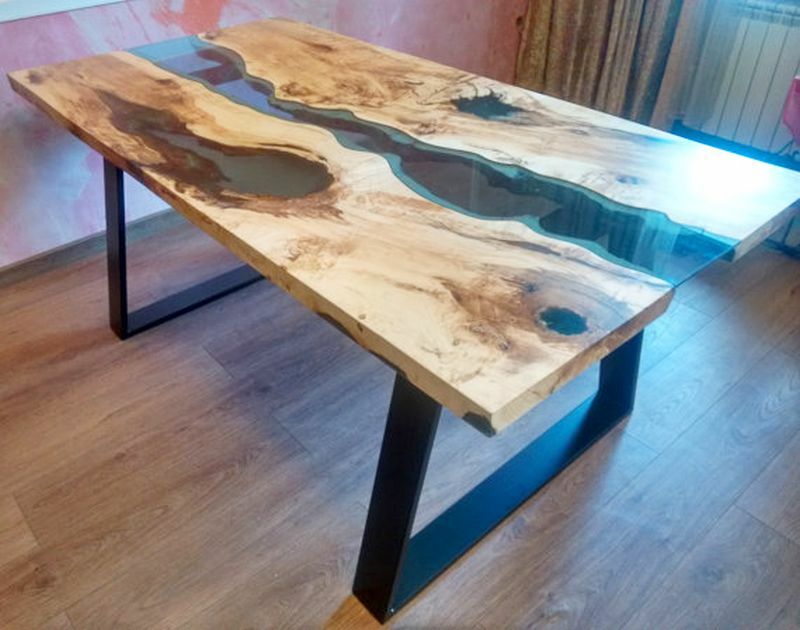 Made with a maple wood slab top plus a black-comb base, it has an organically shaped glass inlay with river rock that appears like a dried-out river. 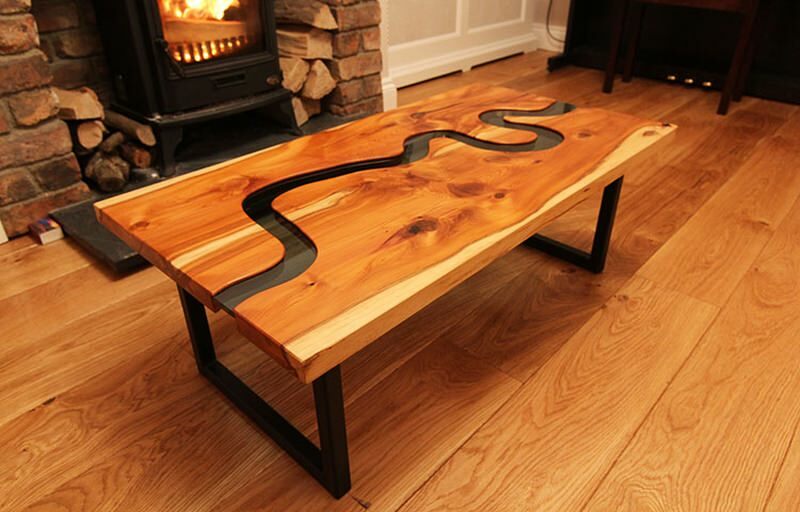 If you’re looking for a river table that isn’t made from wood, this river coffee table from OneOff is a good choice for you. 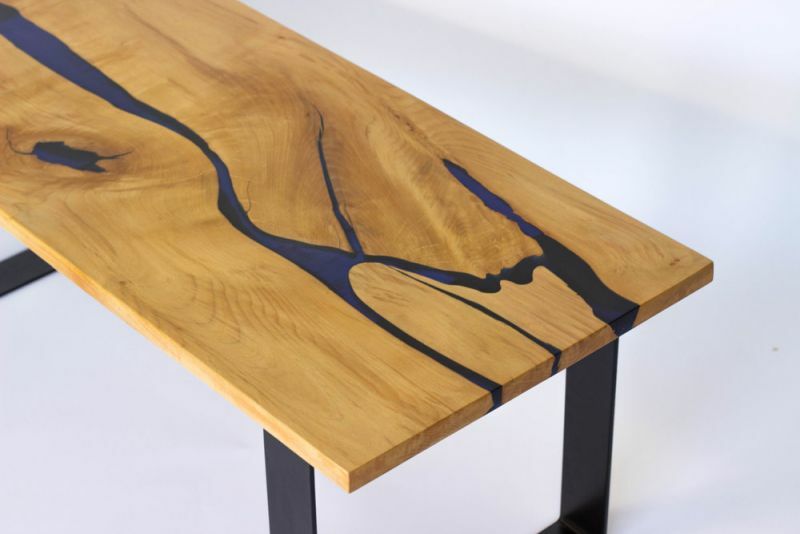 The white and blue tones of the table make it an instant eye-catcher. 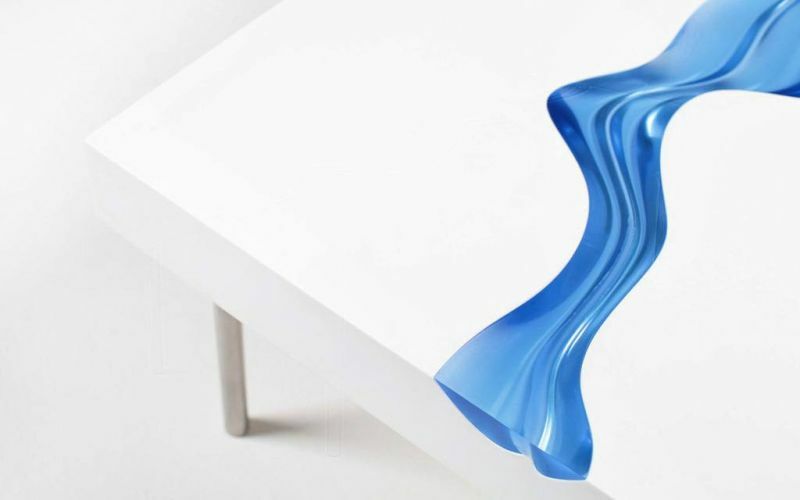 Made from Corian and steel with blue resin details, this stunning table looks perfect for modern interiors. 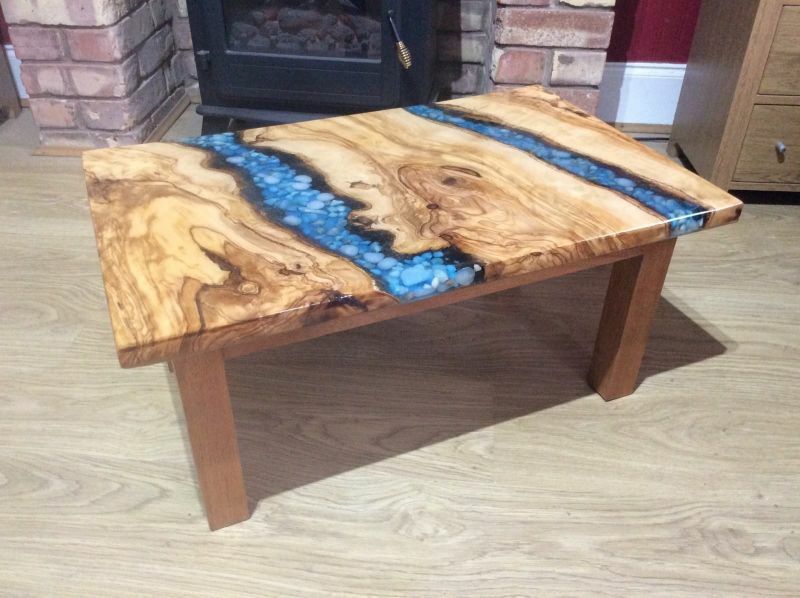 If you’ve seen River Thames meandering into the horizon – this cool coffee table gives a similar expression with its top and base featuring a bluish resin river. 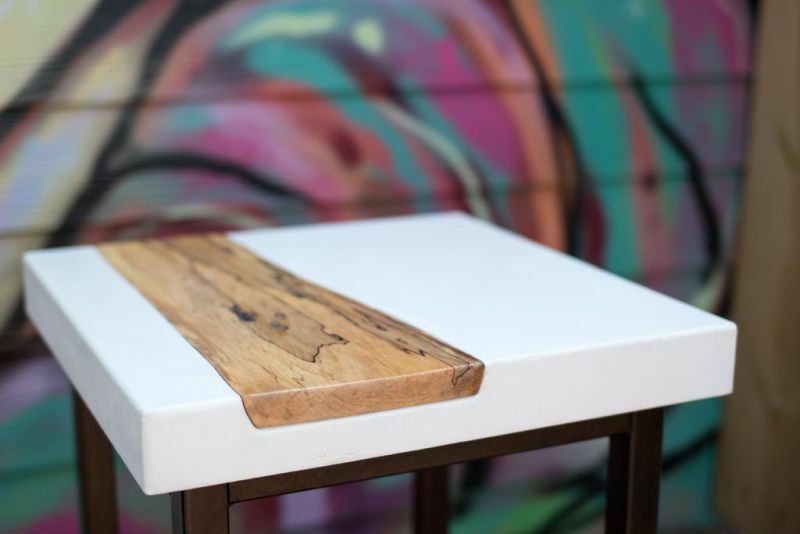 The tabletop and slab base is made from salvaged wood. 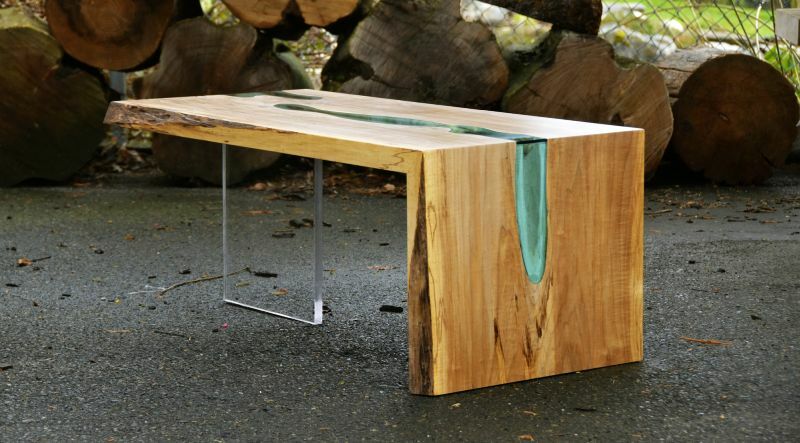 Its rectangular elongated form provides sufficient space to dine or keep your personal belongings. 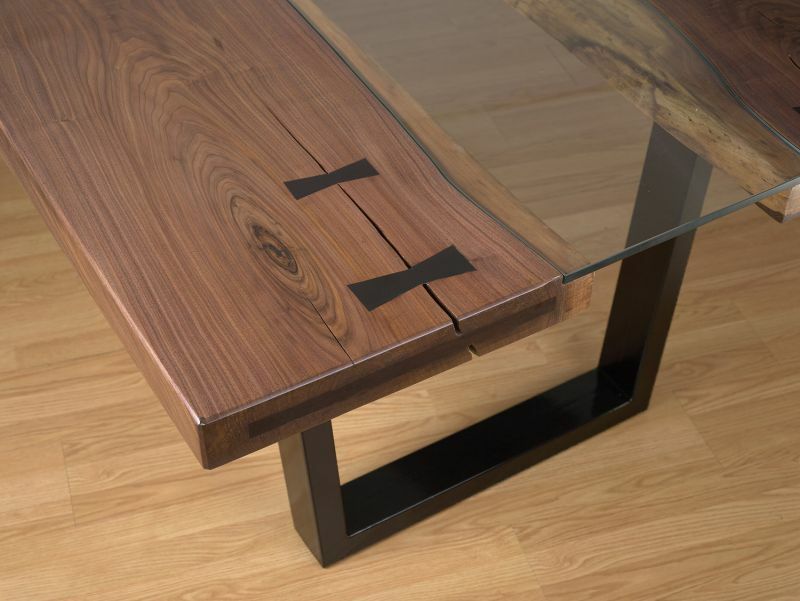 Embedded with a glass insert, this shabby chic coffee table is inspired by the beautiful river tables of Greg Klassen. 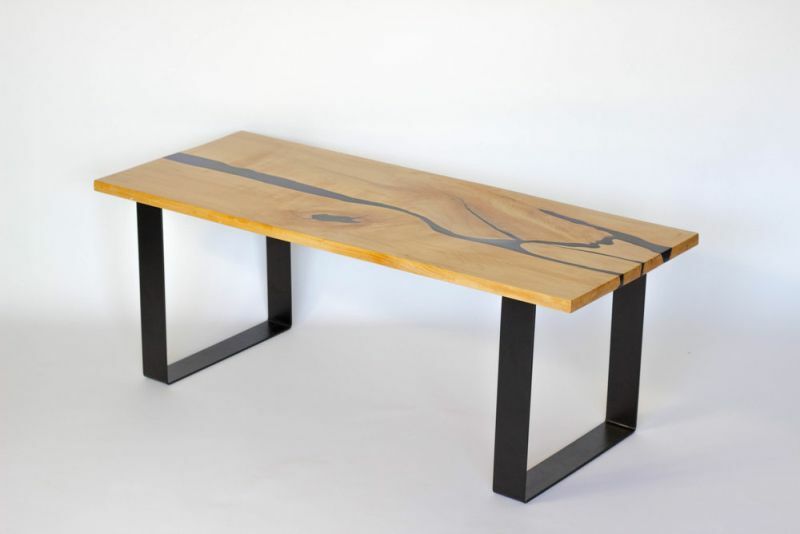 Made by Geneva-based Woodhouse Carpentry, this edge-less river table makes a strong presence with its Sipo wood legs, oak wood top, and black fiberboard spacer. 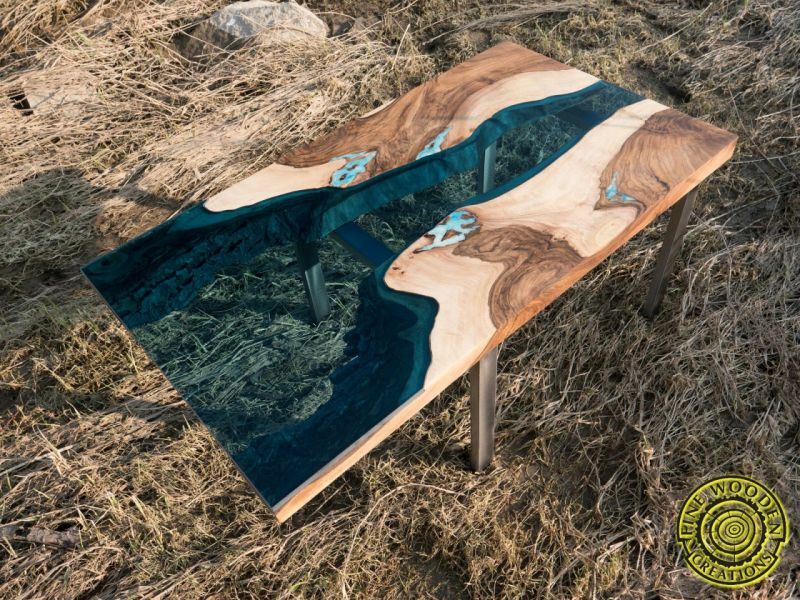 The unique river table by Greg Klassen, a veteran furniture maker famous for bringing the concept of river tables to the fore, features blue-colored glass inserts to create an image of rivers, lakes and other water bodies. 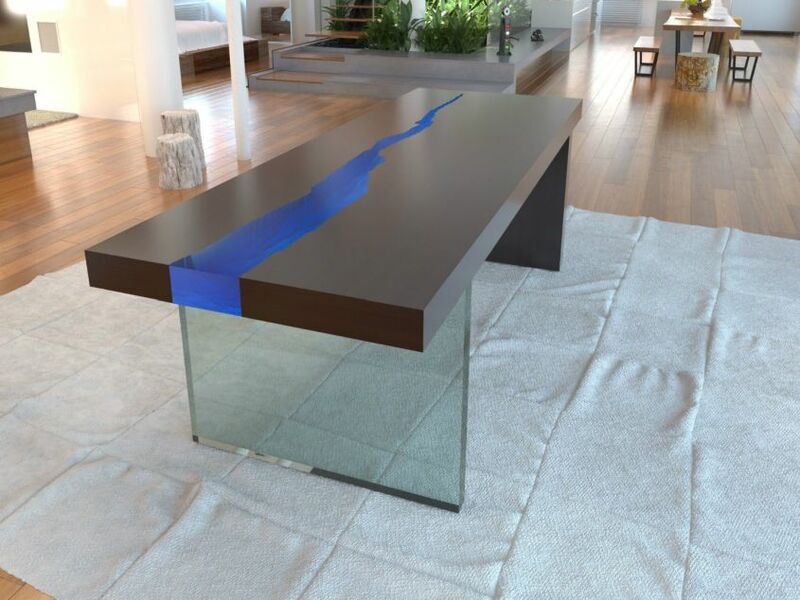 The most surprising thing of this single-folded wood slab river table is the waterfall realized by expanding the glass insert to its legs. 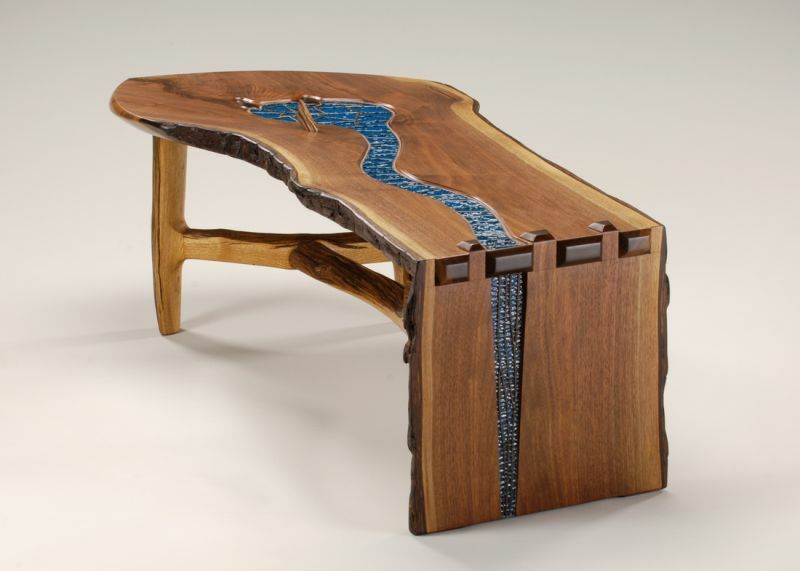 Outfitted with flat squared coffee nut legs, this unique river coffee table has elegant live edges in the center of the tabletop, which look like a river flowing through a narrow valley. 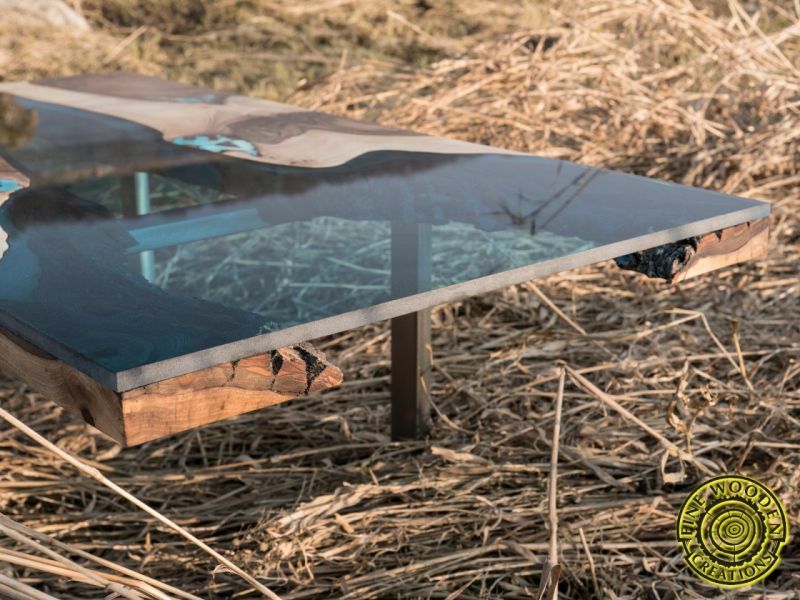 With 48L x 24W x 18H inch dimensions, it is a beautiful and functional table with a blue glass insert. 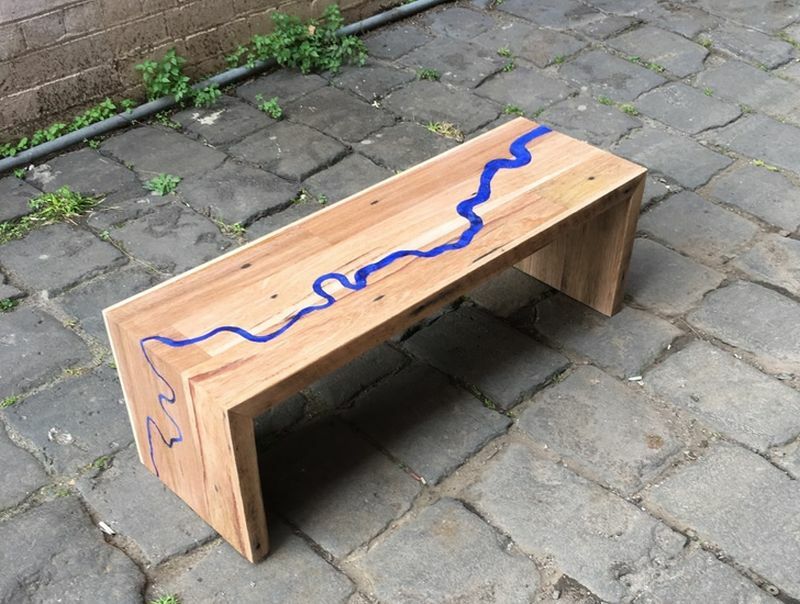 Handcrafted from old solid timber, the Blue Valley live edge river table can add a character to your home interior with its appealing top, inlaid with blue epoxy resin and transparent glass to look like a river. 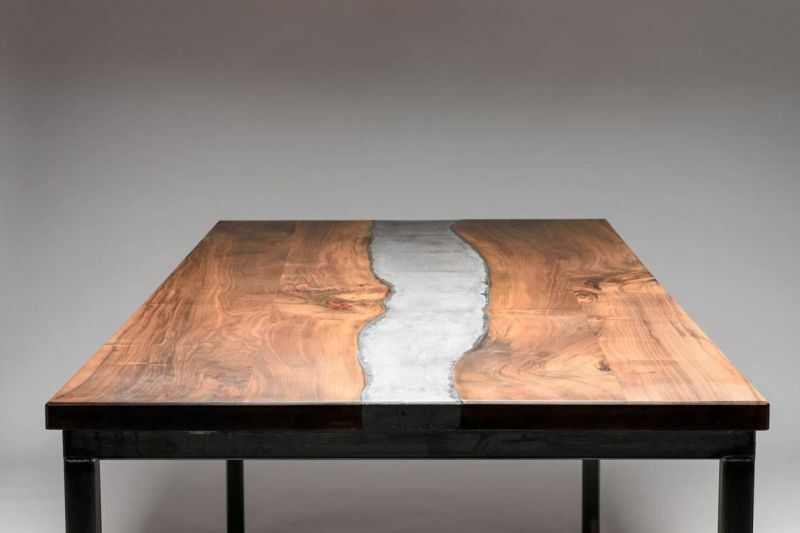 The cracks, knots, and deformities add an elegant touch to the table while legs made of metal nicely support the bulky tabletop. 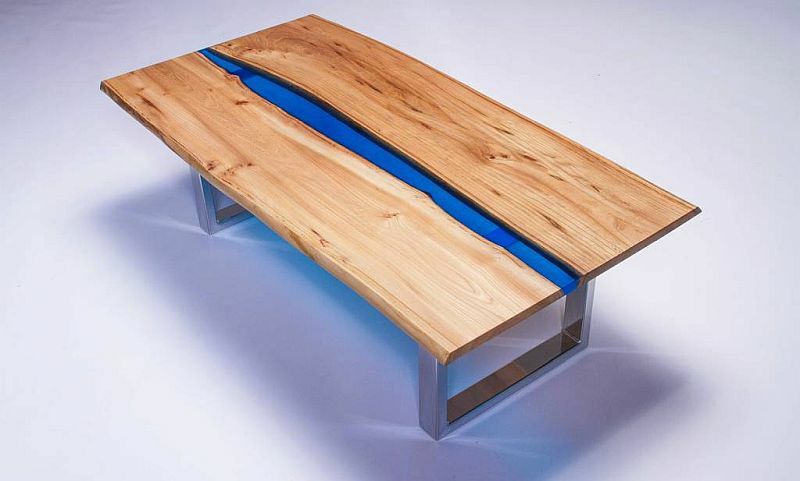 This live edge river coffee table by Anchor’s Cross is made using maple wood, marbles, and a transparent fragile glass insert. 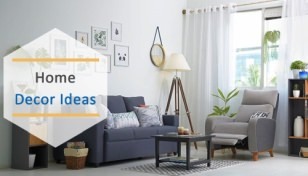 Standing on a metal base, it is sure to be a show-stopper in a living room. 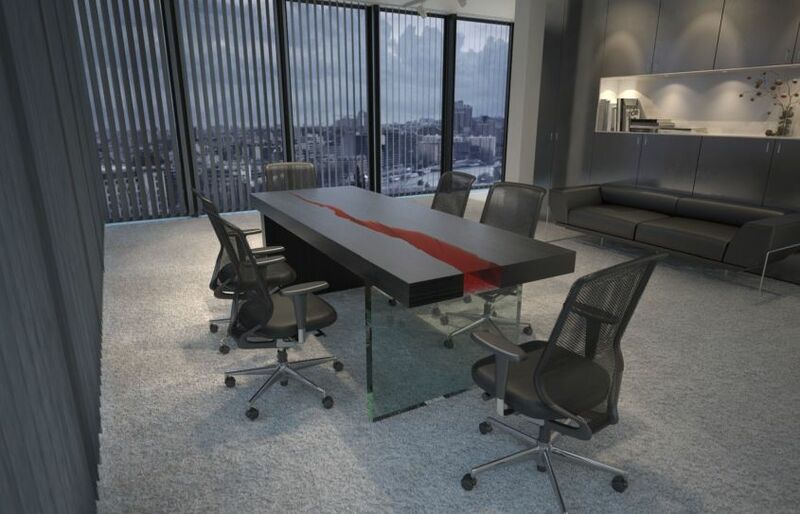 Its elegant top with a semi-gloss finish is characterized by including marbles and a glass insert that mimic a river to add an unforgettable essence to interiors. 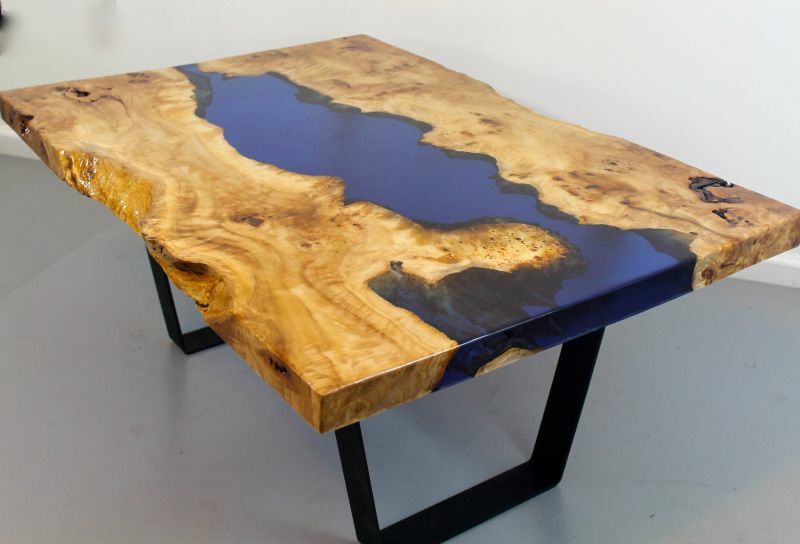 If you are looking for a unique and spacious river coffee table, consider this maple burl river coffee table from Wayward Grain. 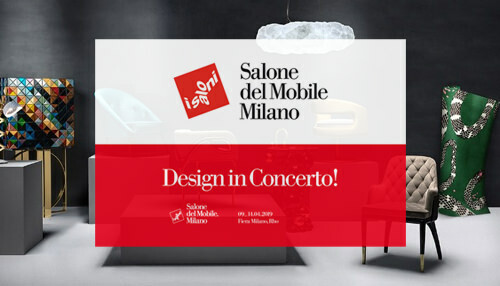 Distinctive by its angular design, it can provide space to accommodate 7-8 people. 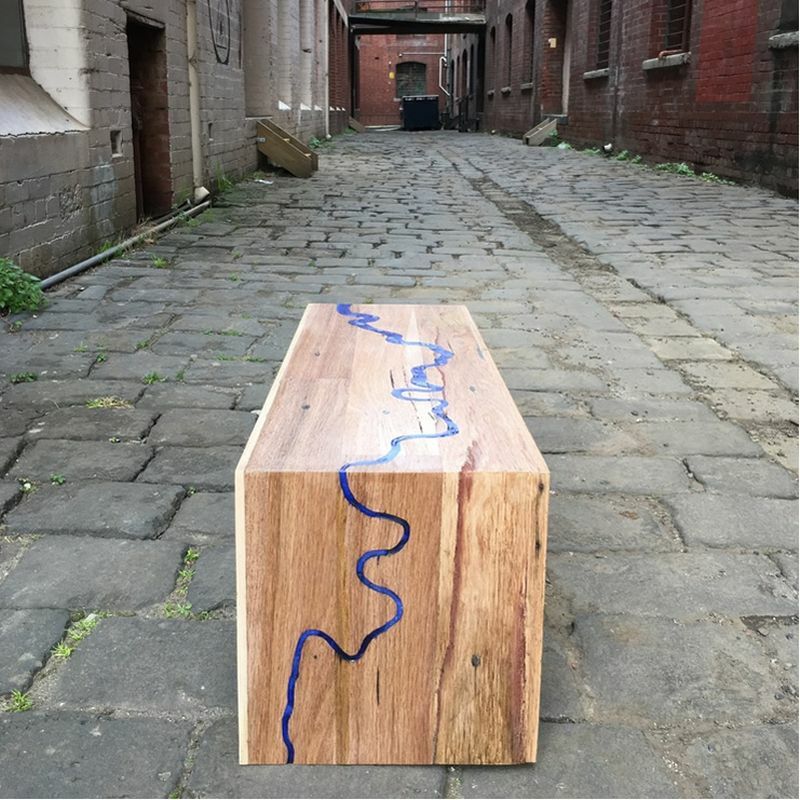 Measuring 60l x 50l x 32w x 18h, this coffee table features a nine-foot-long river that runs across the top. 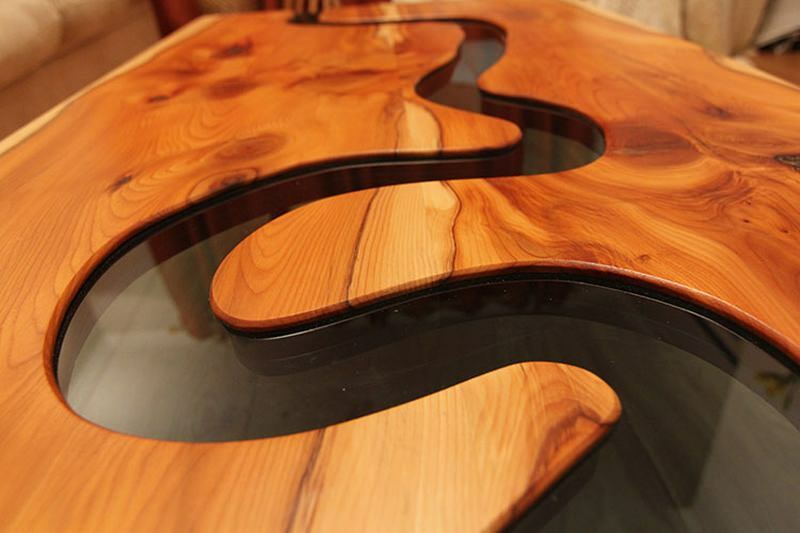 Ben Manns has designed a cool live edge river coffee table using dovetailed walnut wood slab and a stained glass river. 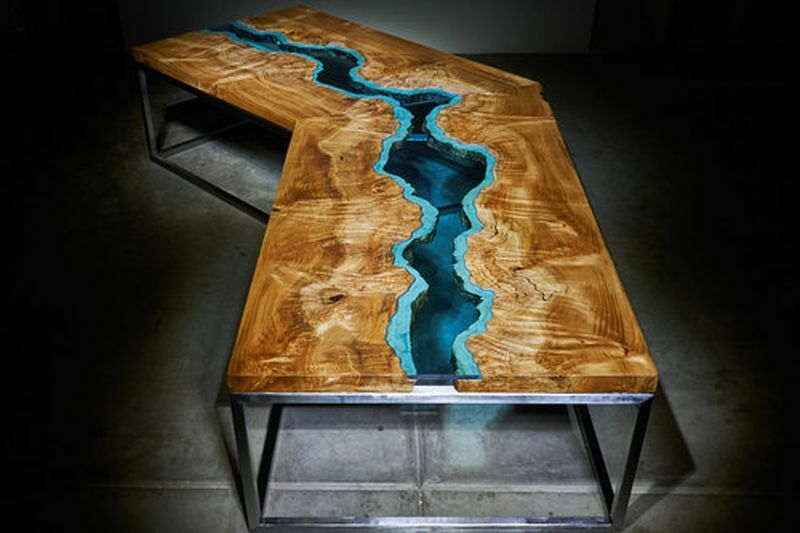 This river table is one of the most unique tables in the list. 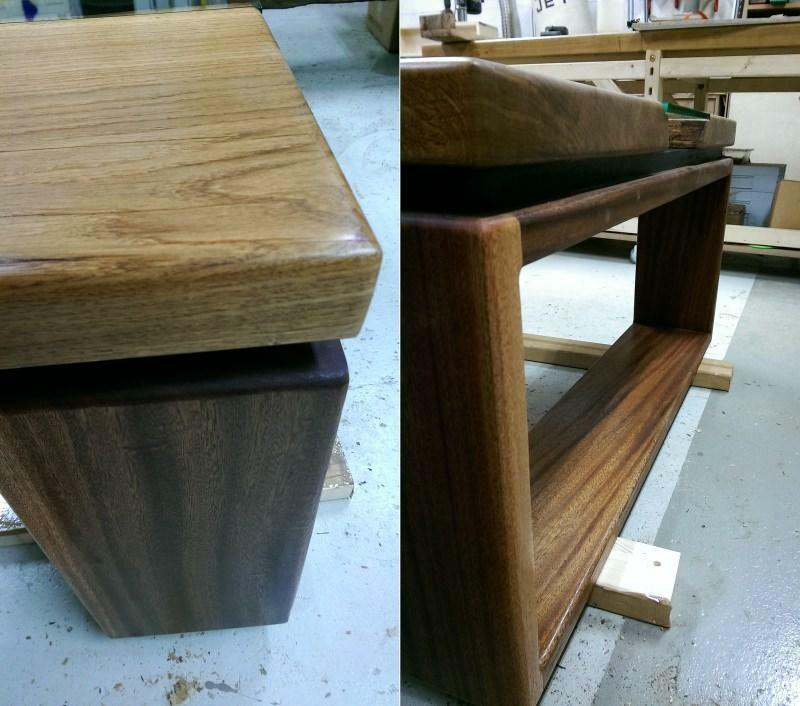 The tree branch style legs and footrest add more grace to the overall design. Furthermore, the glass river flows down to the legs, representing a waterfall. 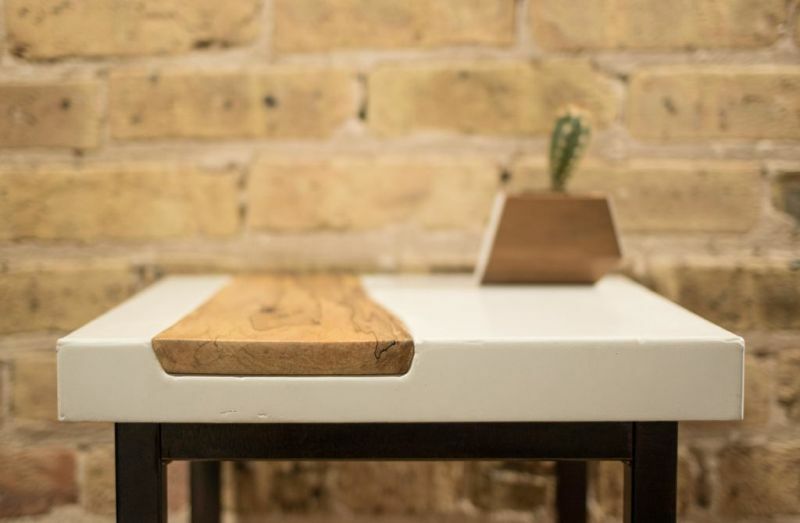 The evolution of modern technology has made it possible to create elegant furniture items from concrete, and what proves this true is this stunning white concrete table featuring a live edge maple wood inlay by Modustrial Maker. 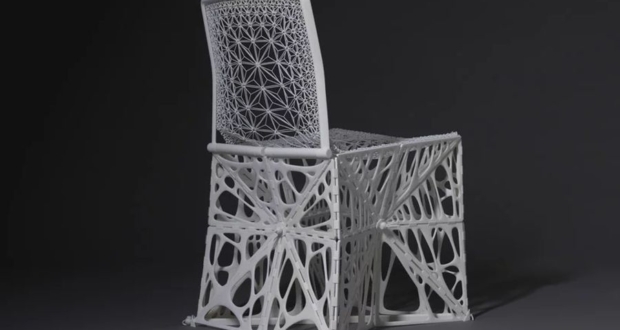 This cool side table is made using glass fiber reinforced concrete mix (GFRC).